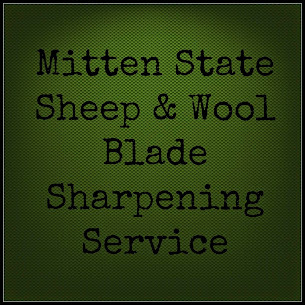 Mitten State Sheep & Wool : Lost Kid! We were leaving town- graduation party. My daughter announced she found a new doe kid out in the pasture, she said things looked good, she was up and nursing. Okay, good -we will be sure to check on her when we get home. Later -made it home. Everyone was up at the water tanks. I can see new mom, but no kid with her. Scanned over field, didn't see her. Out comes 4 wheeler, drove around twenty minutes. No baby, listened for some bleating...nothing! This is a first. We finally gave up looking after about 45 minutes. I felt sick, all we could think of was fox? Coyote? Never a good thought. We have been blessed that has not ever happened. Scared that this may be a first. Today after church we came home there was baby and mom!? We are ecstatic, but puzzled. Not quite sure what happened. A pleasant surprise to say the least. Happy to say they are both doing great!